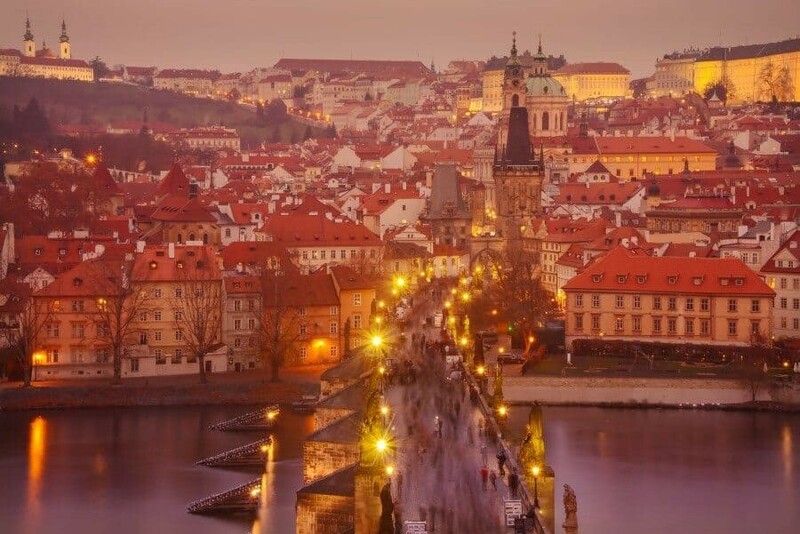 Prague has long been described as a city equal to Paris in the romance stakes. 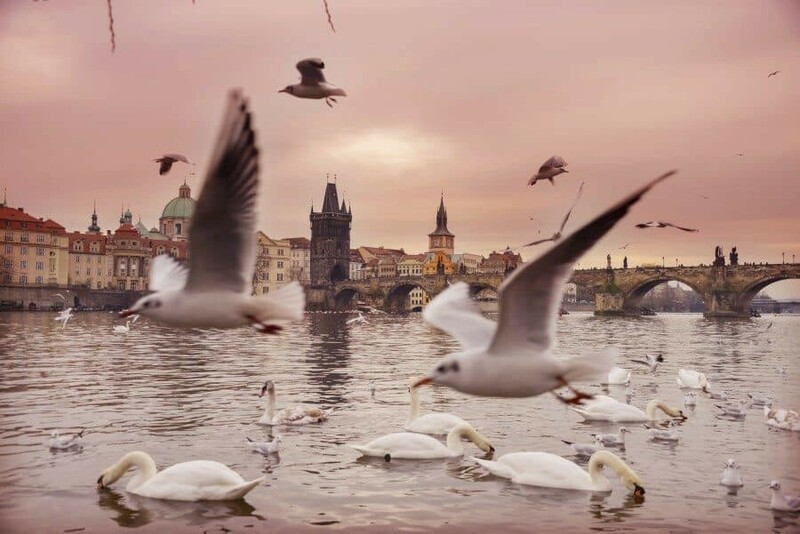 River banks populated by gracious swans, bridges that disappear into the sunrise mist and an endless supply of cafes and restaurants. 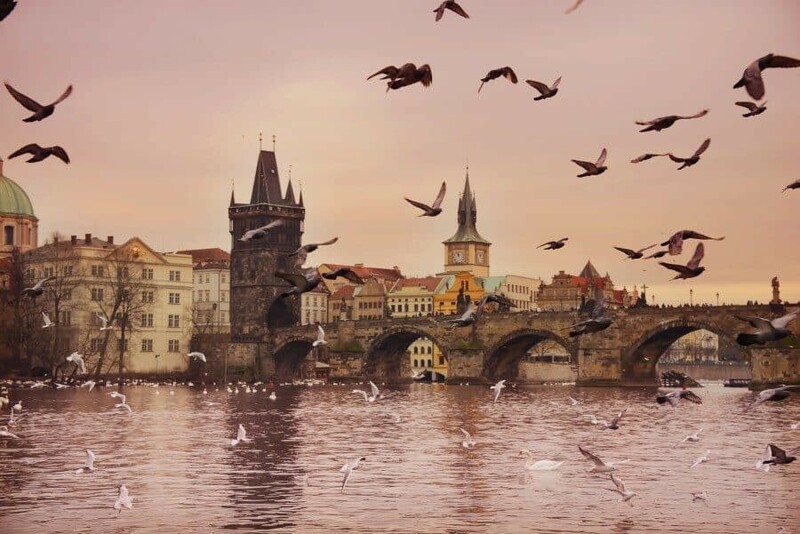 For those that are more in love with taking photos though, Prague’s cobbled streets, historic facades and skyline of gothic towers also make this city photogenic from every angle. 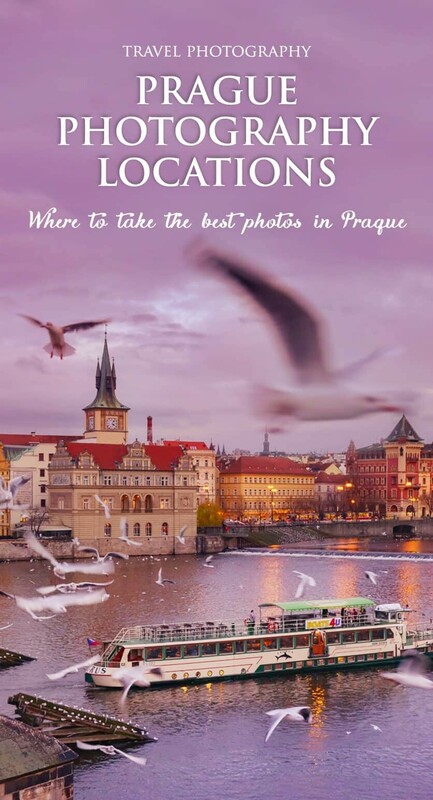 Whether you’re visiting Prague for 24 hours or 1 week, I’ve put together a guide of the best photography locations to keep you occupied. 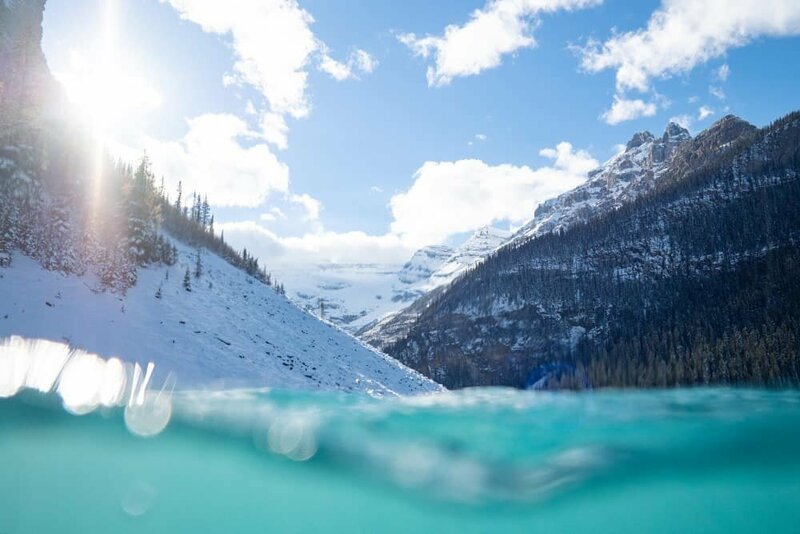 If you’re into history, religion, architecture or are just like me and love a good landscape and sunset by the river, read on to see where you can go. Below is a little map to follow along that you can open in your phone or print out to take with you. 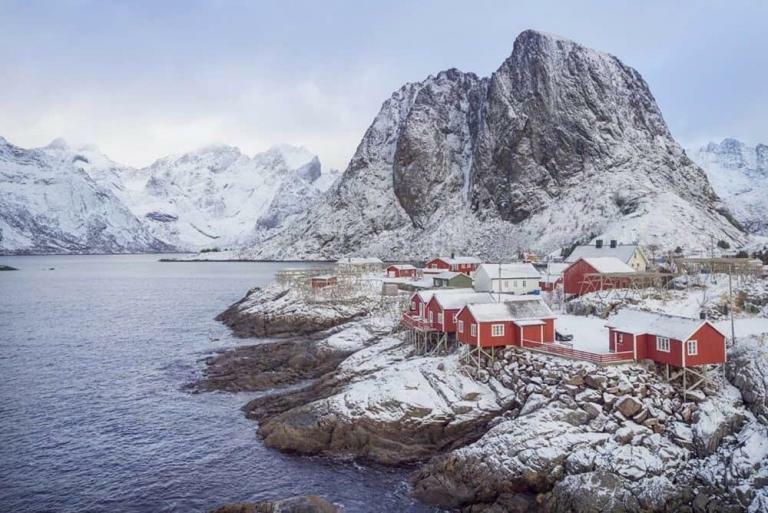 Read more: For more guides to other cities and regions around the world, click through to the ‘Destination Guides’ section. 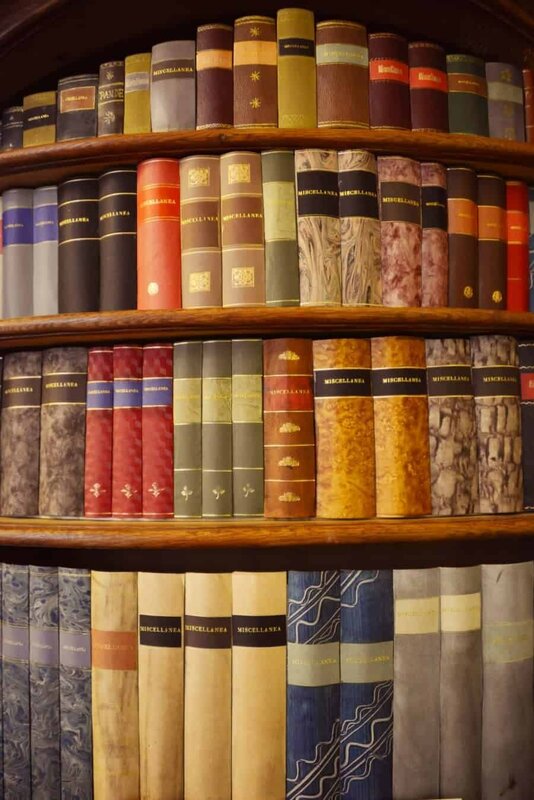 This library is like stepping back in time to when explorers used giant globes and books told epic tales or uncovered mysteries. 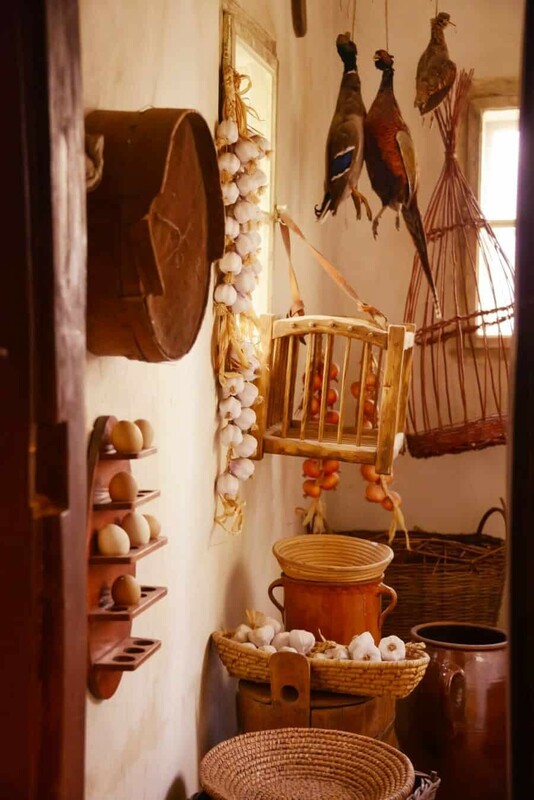 Unless you are with an organised tour guide you can’t access inside the rooms however you can view it from a roped off area that gives you a great view of the rooms in all of their glory. 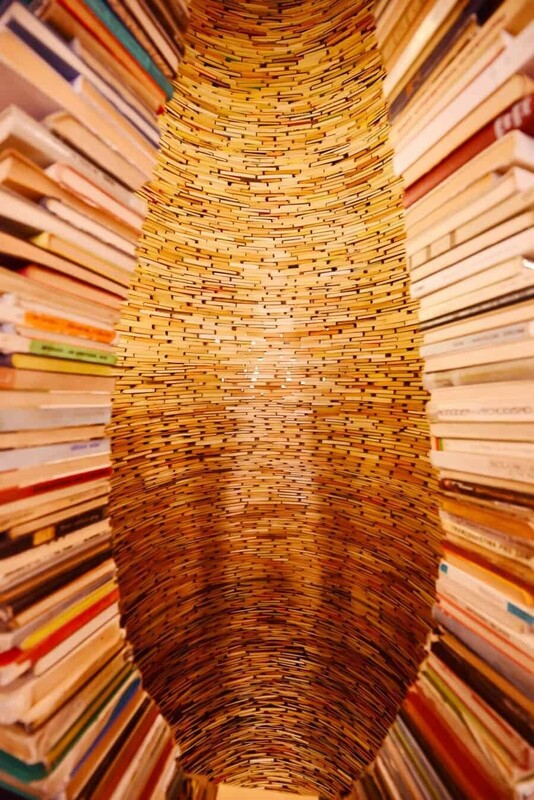 Keep an eye out for the ceiling, perfectly styled book shelves and of course the big wooden globes the size of a boulder! 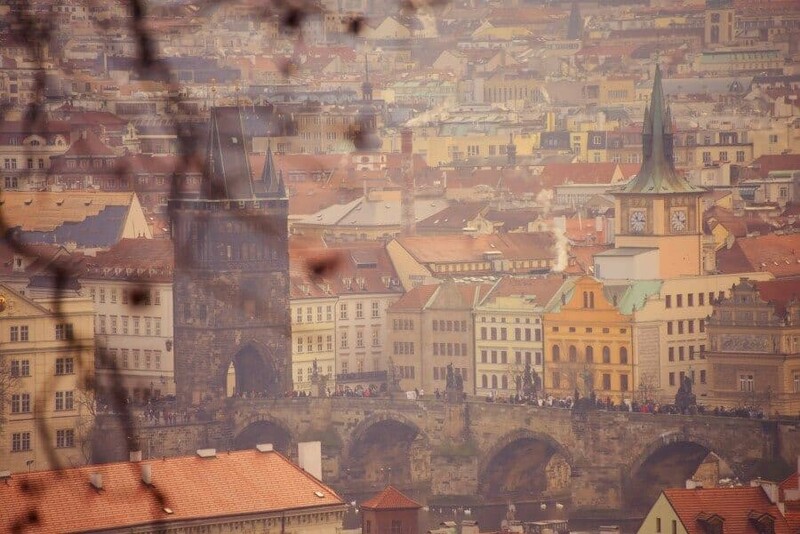 Get high above the landmark of Charles Bridge to capture the most iconic scene in Prague. 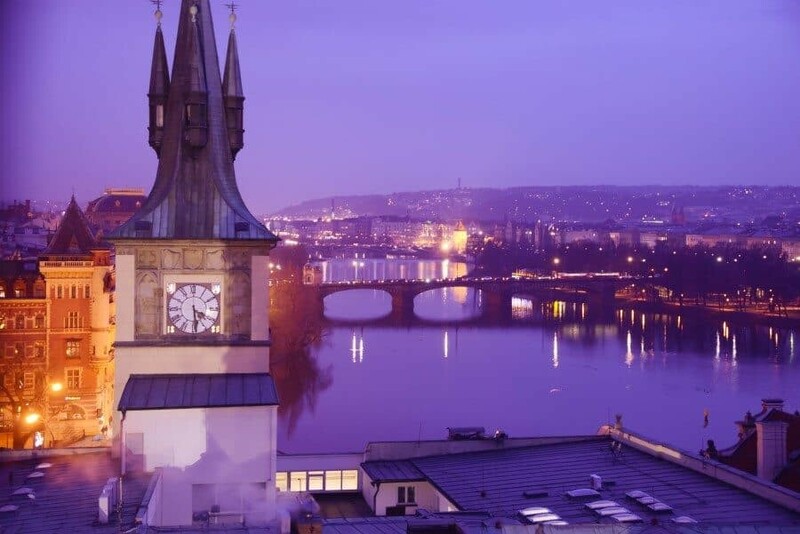 Climb 134 steps inside the tower to reach the panoramic roof which is a narrow pathway around the top of the tower offering views over the Vltava River to P­­rague Castle. To ensure you have the best light, arrive before sunset and then be prepared to wait while the lights are turned on lighting up the incredible skyline, transforming the city. Hopefully you’ll get lucky like I did and find no one up the top, allowing you to move around and see all of the viewpoints without and hassle! 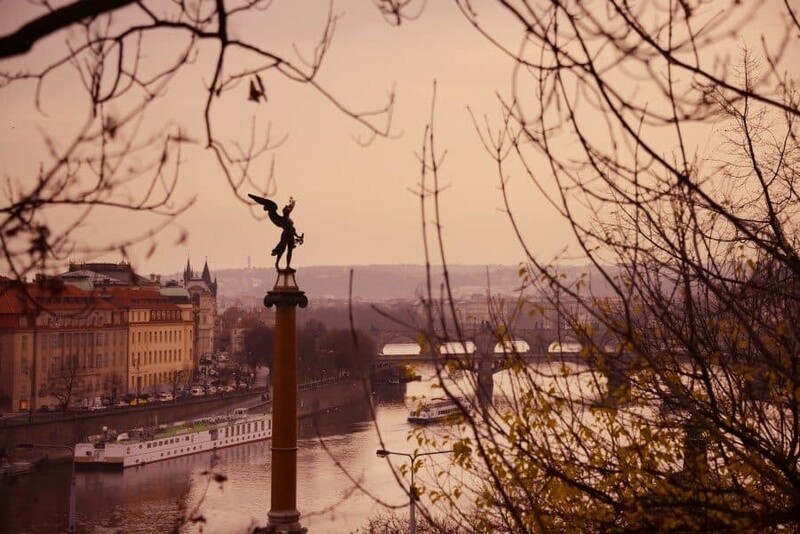 This location doesn’t have a name because it’s just a spot along the river I found that has a beautiful view of the Charles Bridge. It works really well for long exposures using the passing boats and water lapping on the shores of the river. 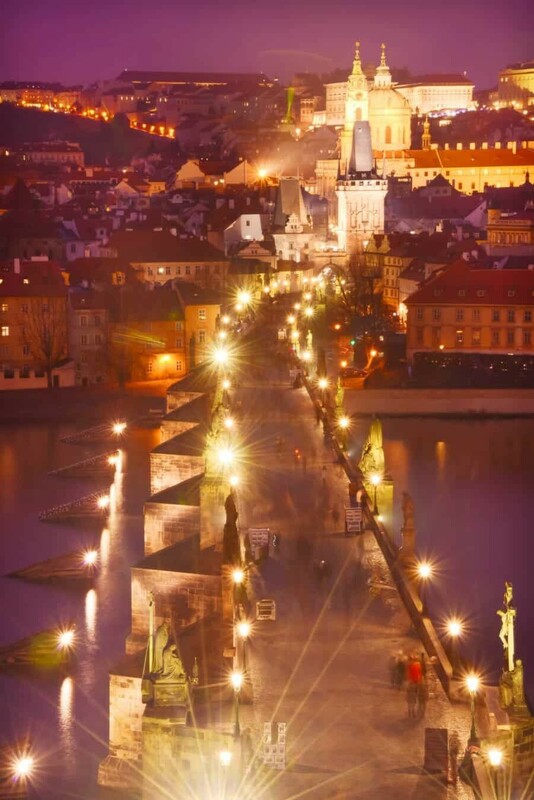 It’s a little hidden from the main thoroughfare of Charles Bridge which means it’s nice and quiet so you can set up your tripod and shoot time-lapse, long exposures or just wait for the perfect light without being interrupted or bumped. 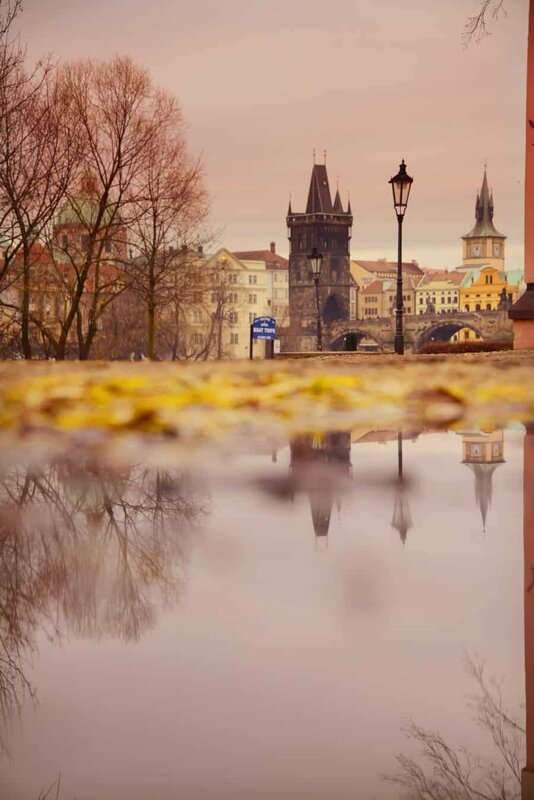 To find this spot, take the staircase that leads of the castle side of Charles Bridge and then wander around the small alley towards the river until you find the willow tree and look across to the bridge! 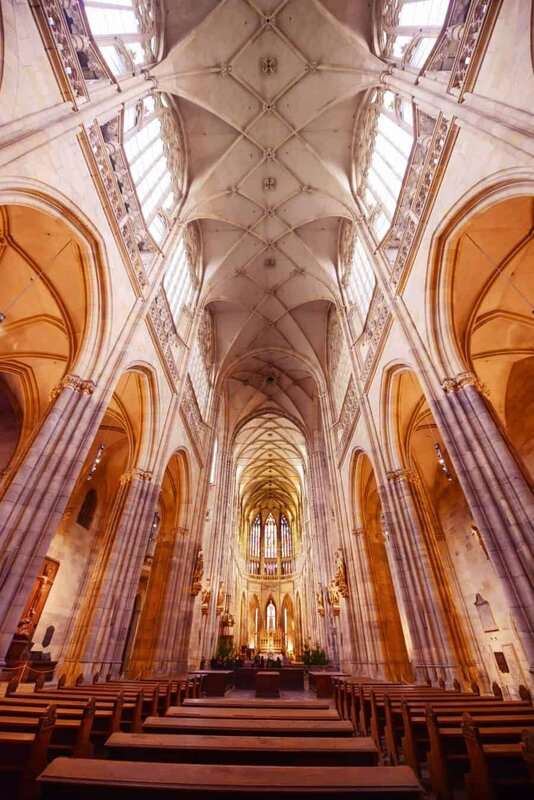 Immensely stunning inside, the St Vitas Cathedral can be seen from almost anywhere in Prague. 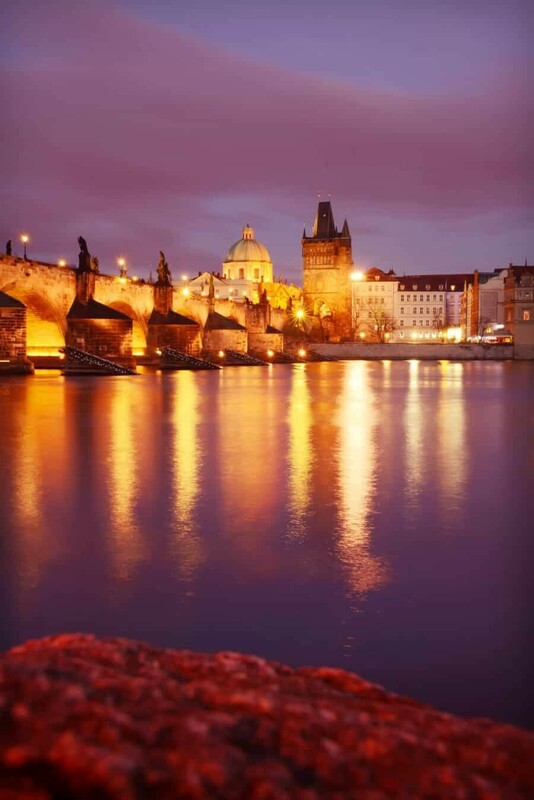 It dominates the skyline from Charles Bridge and the river banks and when you enter through the giant doors it doesn’t disappoint. 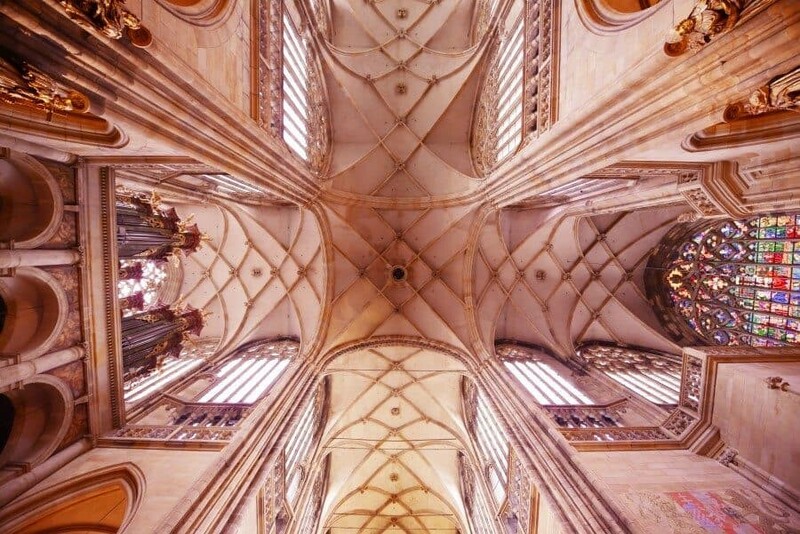 Look for a central spot to stand to capture shots that showcase the intricate detailing and symmetry of the ceiling. 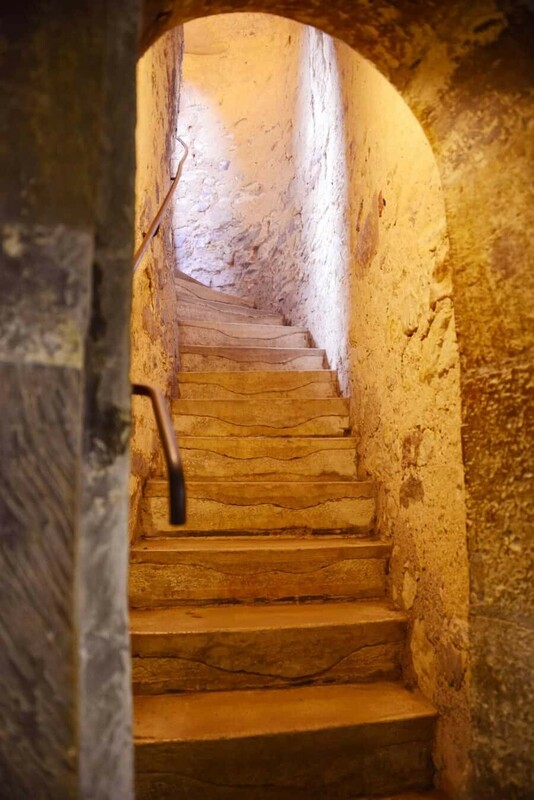 Be sure to wander along each side of the cathedral to see all the nooks and crannies. 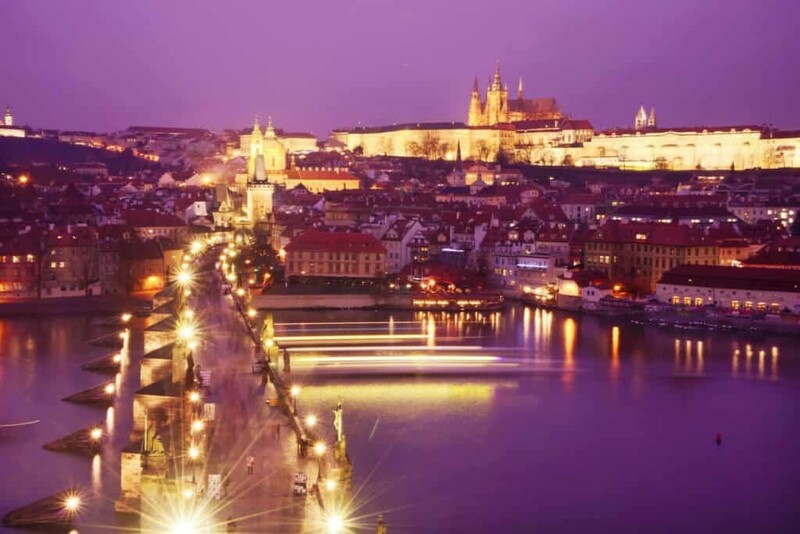 Like a fortress from a fairy tale, Prague Castle is a walled historic wonderland that overlooks the city. 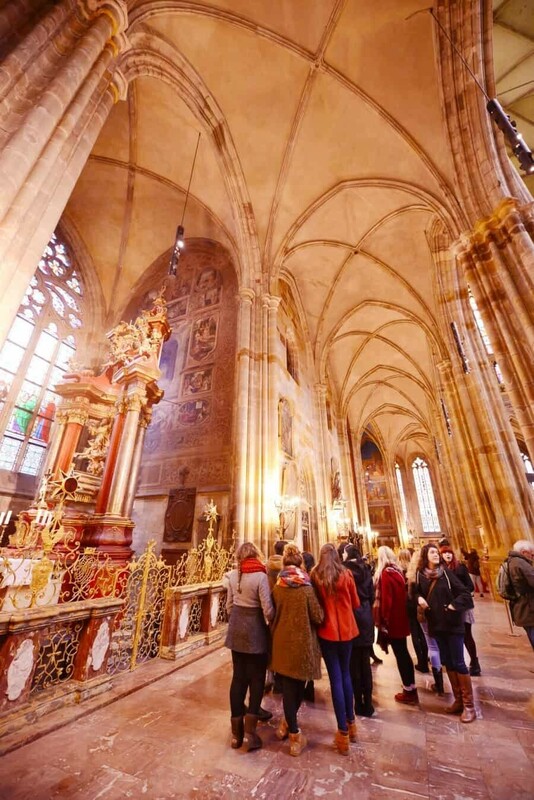 Inside the walls is a series of monuments, cathedrals, museums and galleries to explore, each offering a different view of Czech history. 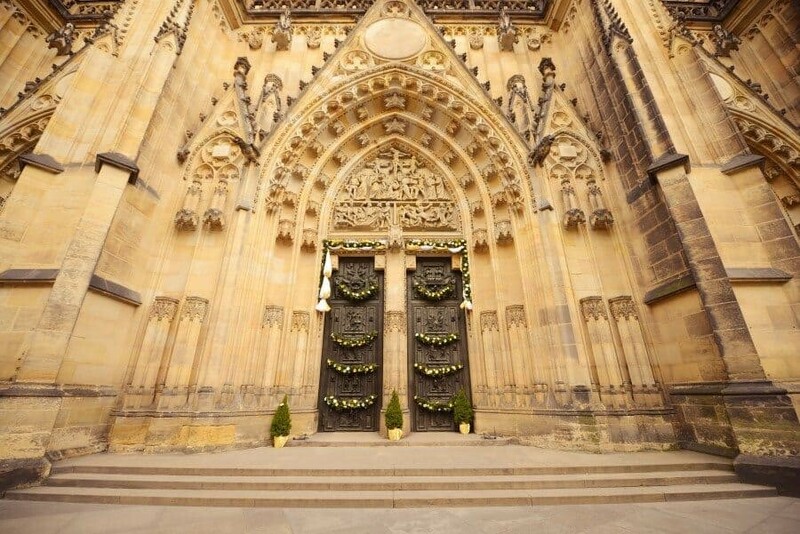 I’ve included the separate sights inside as photo locations such as St. Vitas Cathedral etc. See below for ticket details. 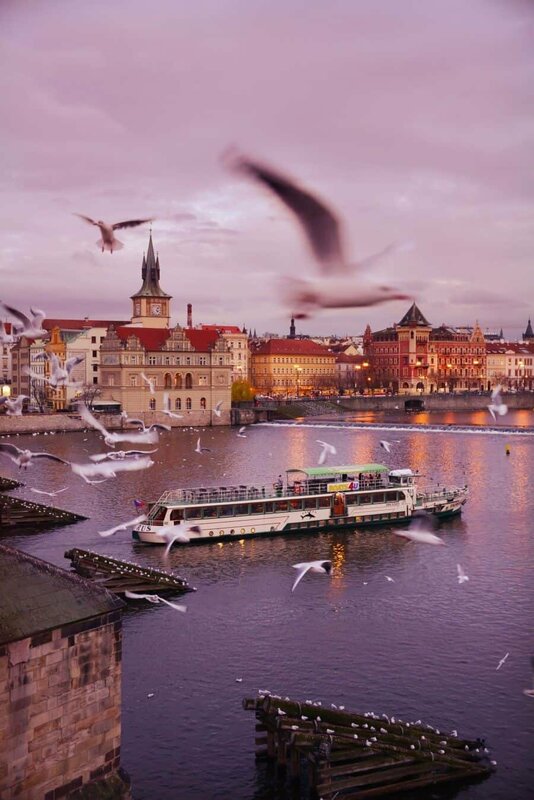 The banks of the Vltava River are unique because of one feathery reason. White swans. By the hundreds! 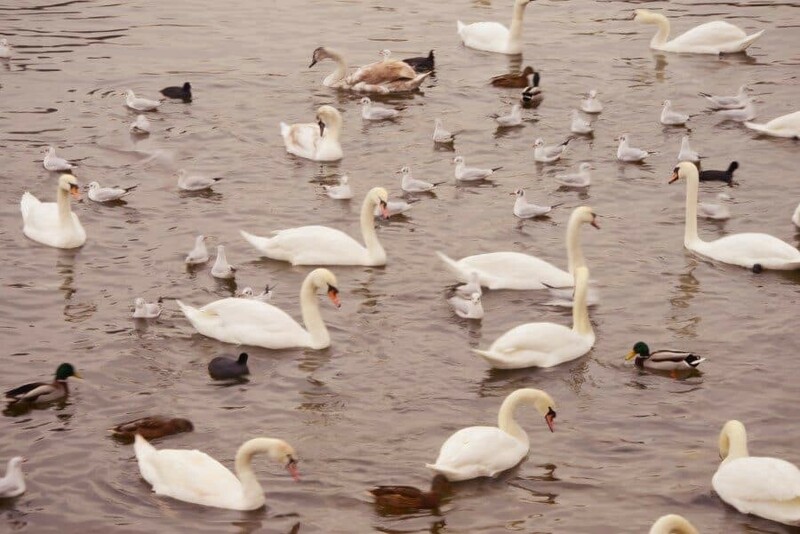 These elegant creatures float around the Charles Bridge and even have a nesting area that’s cordoned off just for them to laze around in one of the most populated parts of the city. 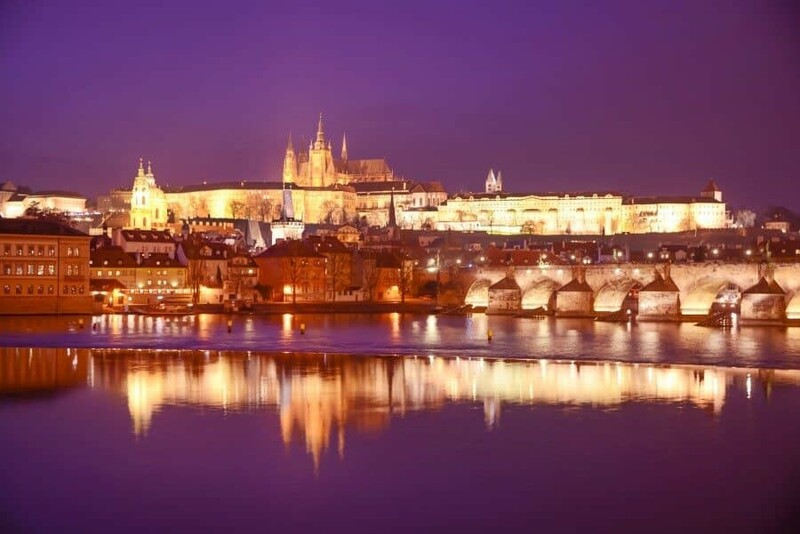 Walk down the pathway on the west side of Mánesův Most bridge to the river bank beside the Santa Maria Boats wharf to be surrounded by swans and to capture a great view looking back towards Charles Bridge and the city skyline. 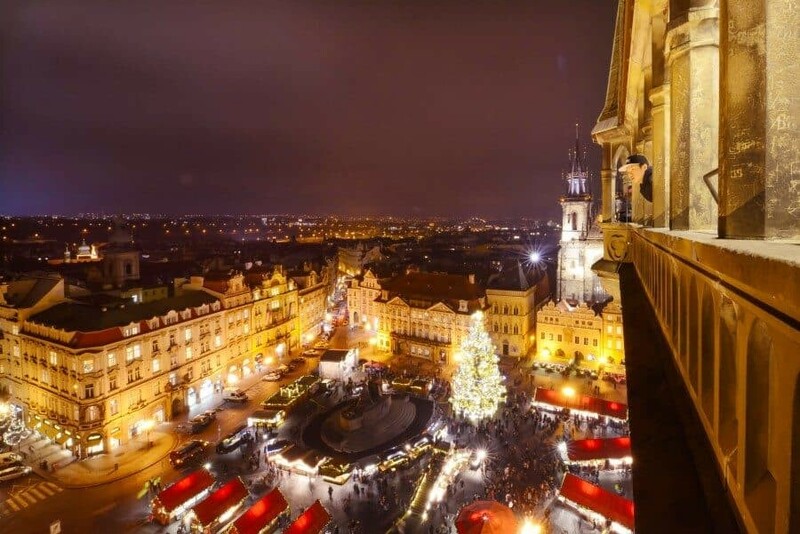 Easily one of the most beautiful squares in all of Europe, Prague’s Old Town Square is magnificent to say the least. 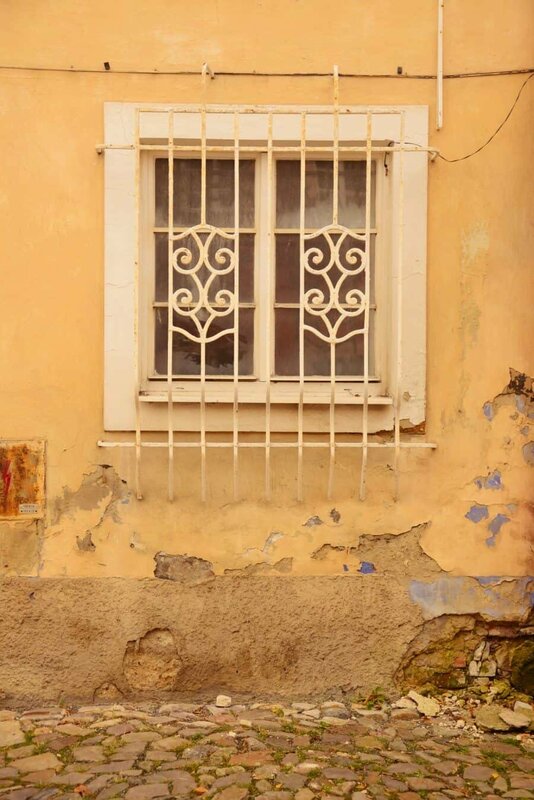 Framed by historic buildings, gothic architecture, colourful facades, arcades, towers and cathedrals there is a lot to photograph! 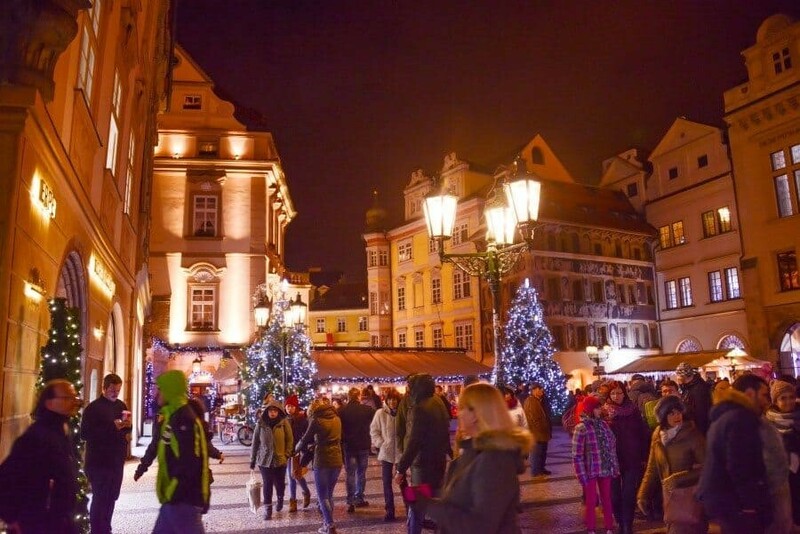 During the lead up to Christmas you’ll find the square transformed into a winter wonderland of wooden market stalls and the biggest Christmas tree you’ll ever see! 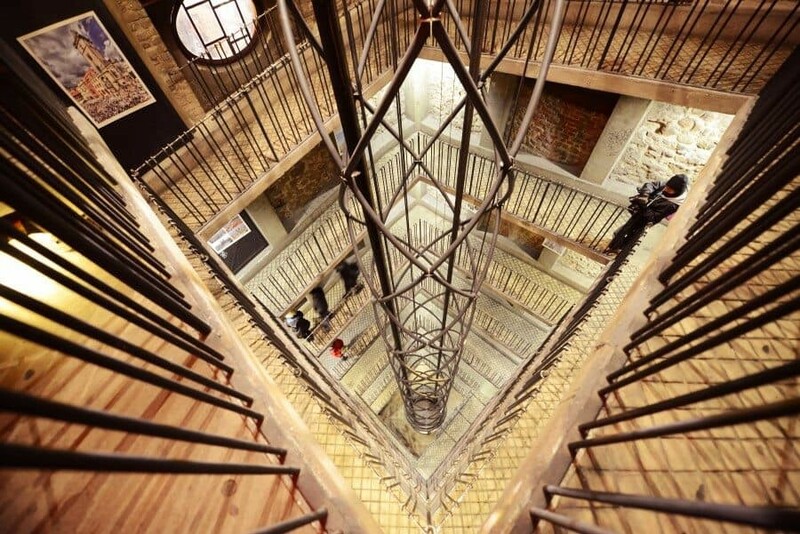 Get a great view from looking down from the Old Town Hall Tower (more details next). 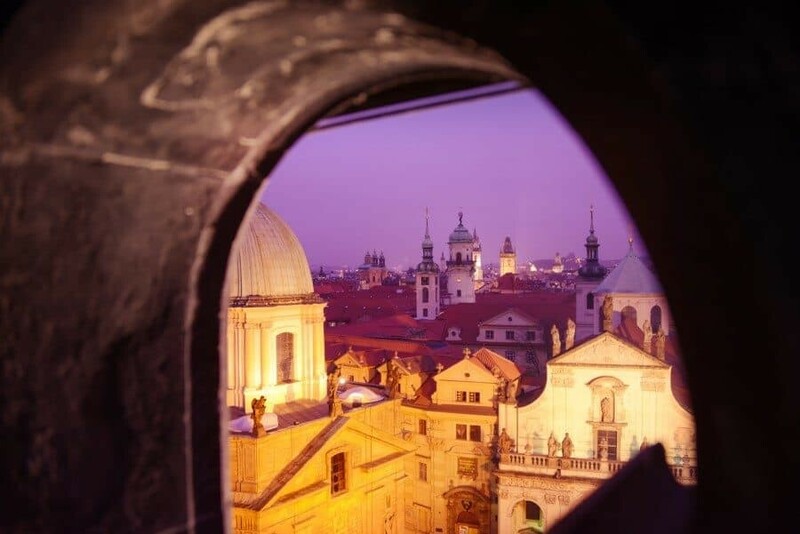 For views of the city square and a scenic skyline filled with cathedral domes and tower peaks, take a trip to the top of the tower. 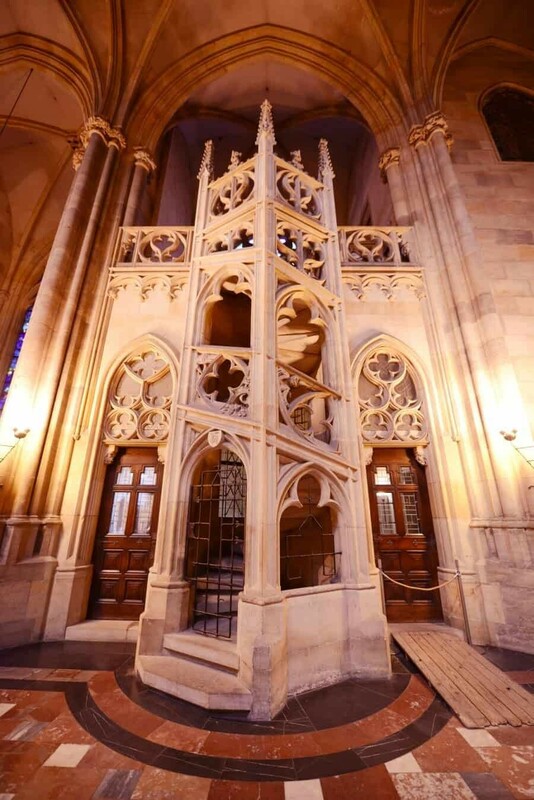 Take the lift up to give yourself more time taking photos and then wander down using the ramp that winds around the tower and creates a dramatic stairwell…also great for photos! The views from the top are possible in all directions and it can get a little crowded up there so is probably a little tricky to take a tripod. I find in cramped conditions it’s best to use the tower itself to keep your camera steady! 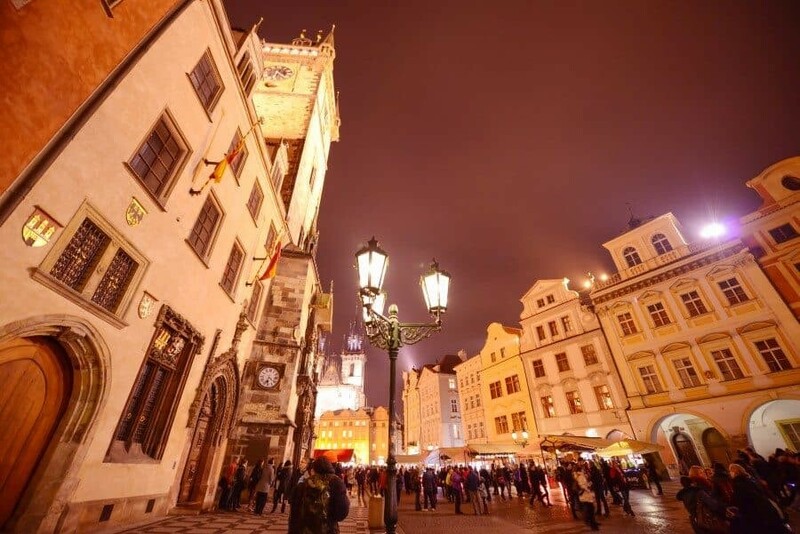 The tower is also home to the famous 600yr old Astronomical Clock which chimes every hour and has little figures that pop out of a door and turn around gathering a huge crowd below! 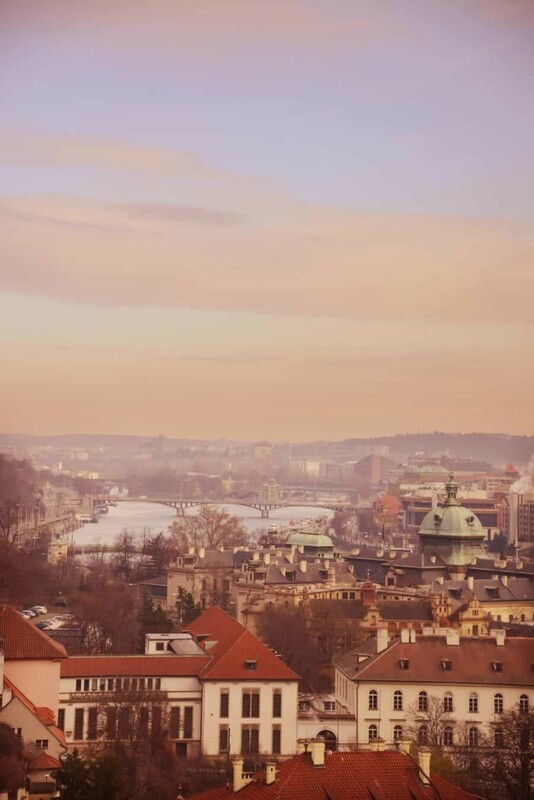 While it’s a little bit out of the way, it’s well worth taking a little walk up to this park which offers views over the city and Vltava River. Popular with skateboarders and creatives, the park has a number of installations and art works too. 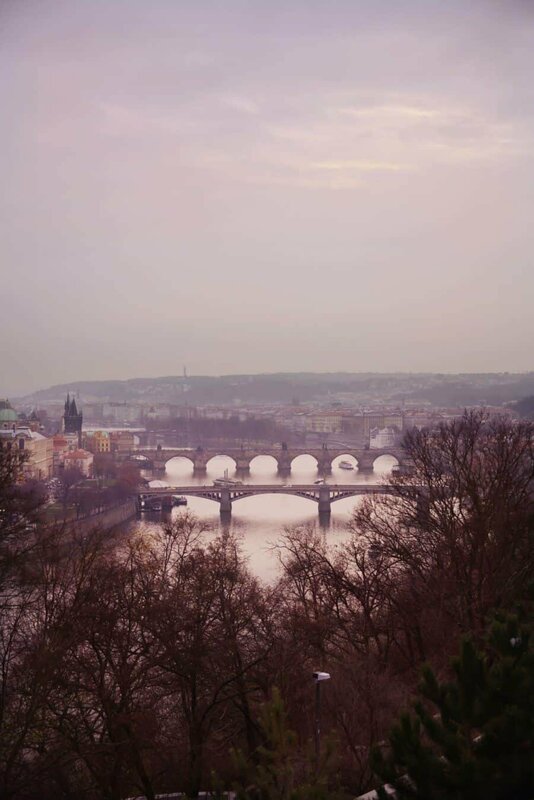 There are numerous lookouts along the paths to offer different vantage points, the ones facing back toward Charles Bridge are great for sunset or a dusky sky! 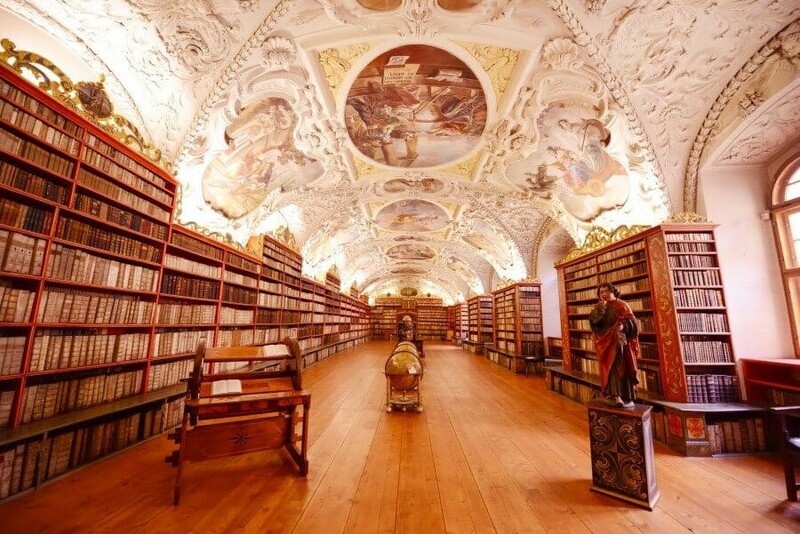 Most travellers won’t know about this location as it’s a little quirky and hidden but if you’re a book lover you should check it out! Thanks to my friends Igor and Katarina who live nearby that pointed it out during my visit! 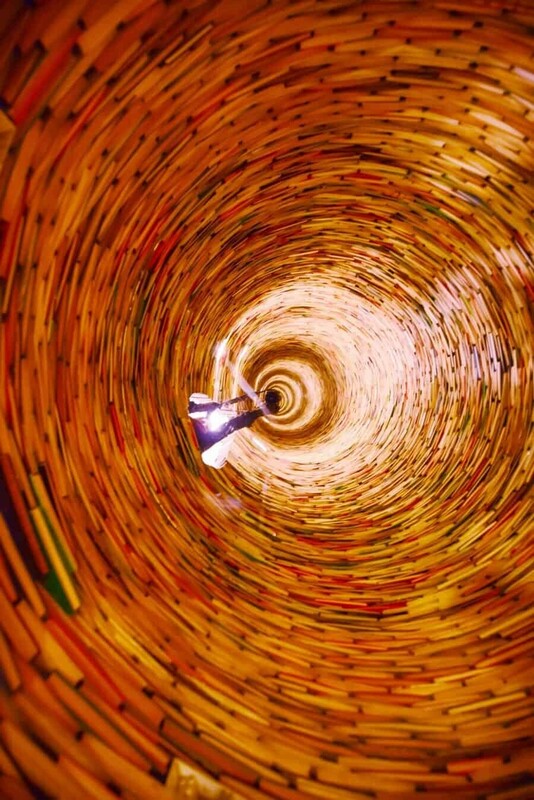 Inside the main foyer of this public library is a giant stack of books that form a huge tunnel that makes for a very cool photo! Entry is free just be sure not to knock any books into the tunnel…I can only imagine the repercussions that would happen! Beside this theatre which is one of the oldest in Europe, is a beautiful cobbled lane that is ideal for street scenes in the evening. The glow from lamp posts lights up the polished stones and softly illuminates the intricate details of the grand building. I’m sure inside the theatre is extravagant too, it was closed during my visit but definitely try and have a peek! 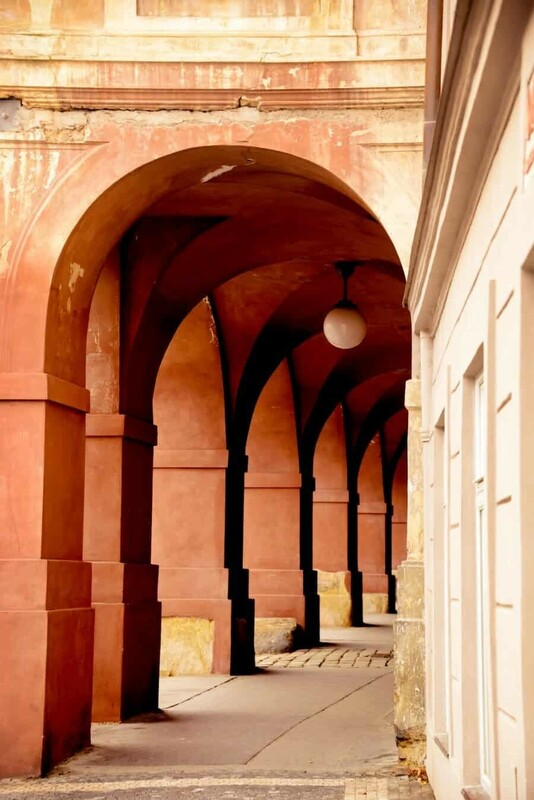 Linking between Prague Castle and the Černínský Palace, this street is lined with colourful buildings with arched arcades offering great photo opportunities to capture the locals going about their business. 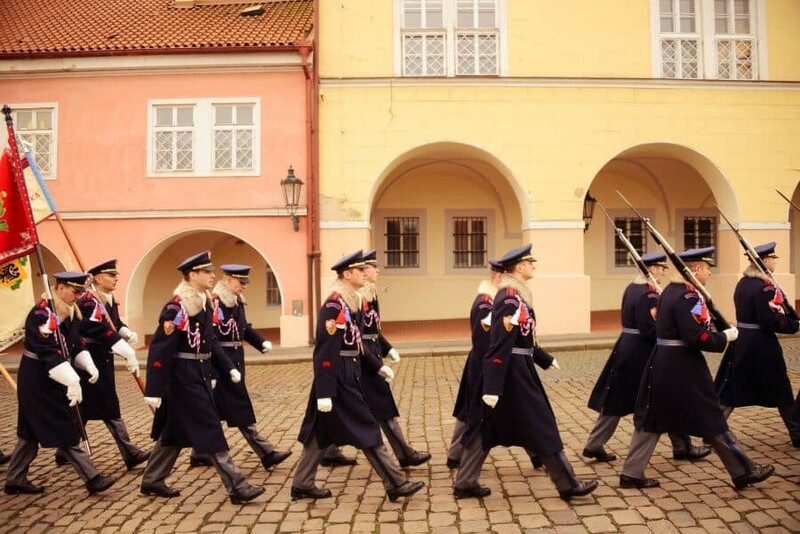 If you’re lucky the military will be doing their daily walk around march too. 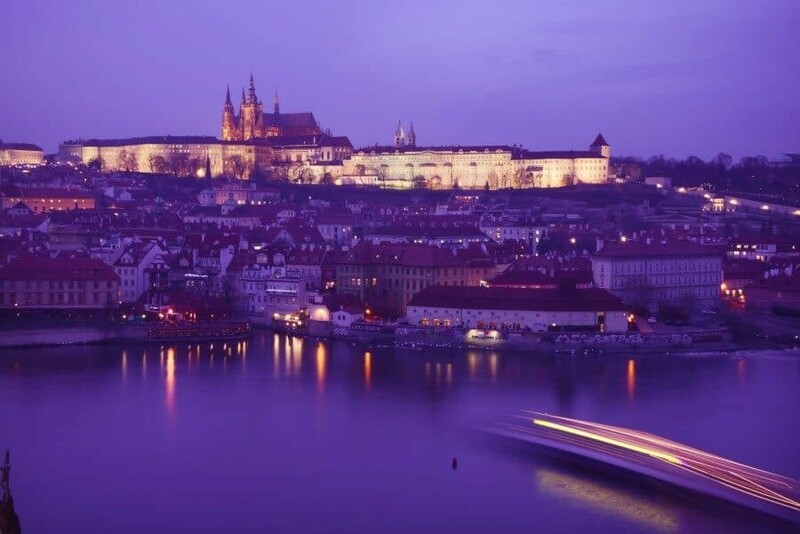 Along the Vltava River just beside the Karlovy lázně light rail station is a great location to capture long exposure shots of the skyline of Prague Castle and St Vitus Cathedral. You’ll find plenty of vantage points along the river however here there is a small waterfall that runs the width of the river which creates a calm area of water that’s perfect for reflections! 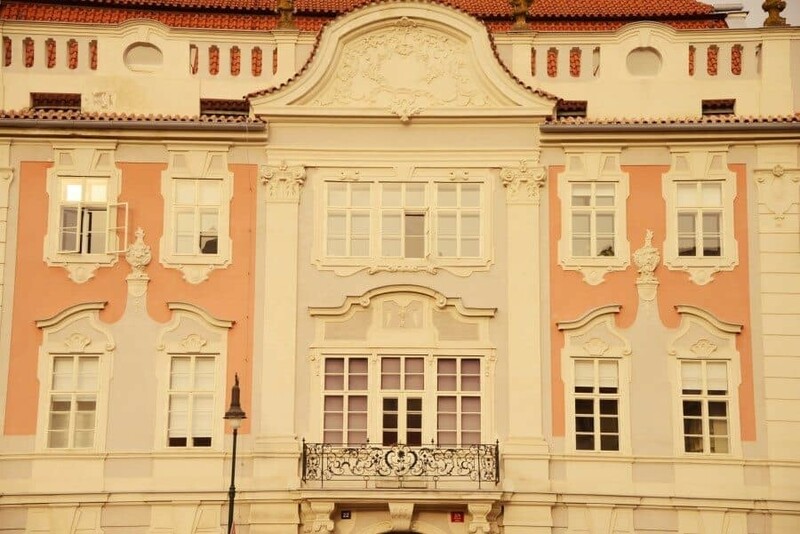 Located just outside the entrance of the Strahov Monastery and at the beginning of Loretánská Street, Pohořelec is an intersection lined with colourful buildings. While the centre is a carpark and nothing much to look at, if you get a little closer you’ll find an arcade that offers a great photo opportunity for architectural lines and perspective. 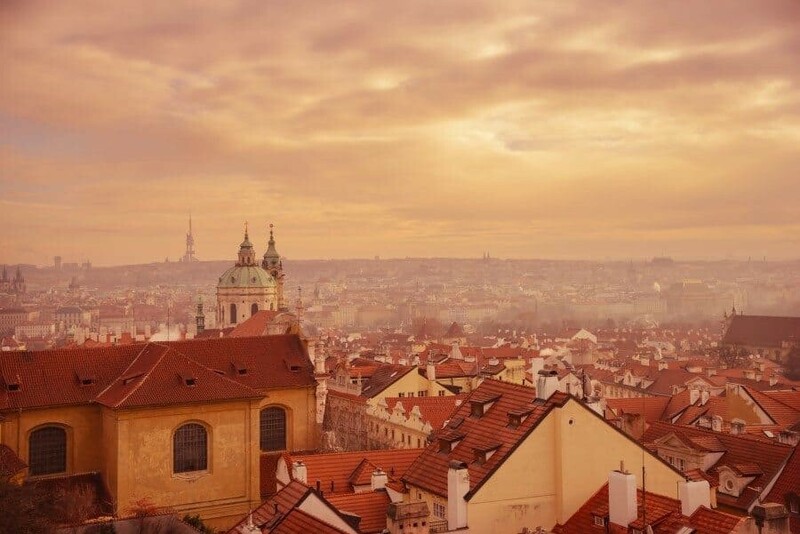 This lookout is just beneath the Black Tower at the end of the Prague Castle walls and has incredible views over the roof tops back toward the old town. 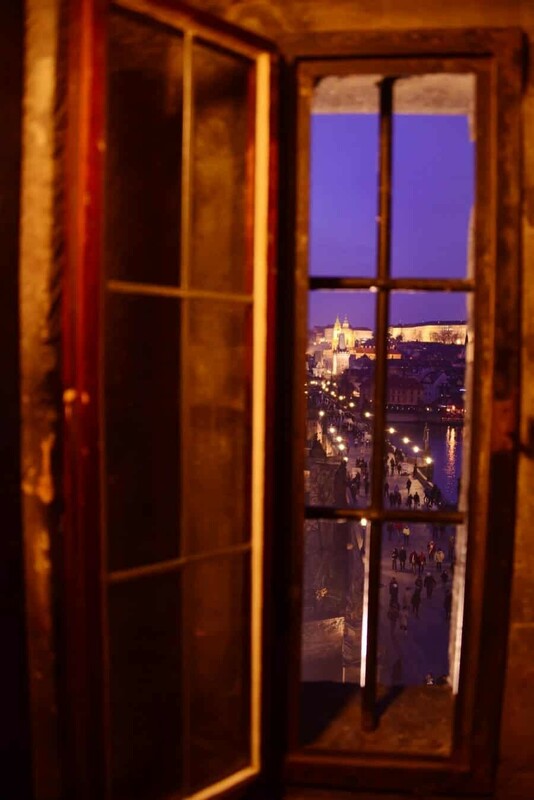 It’s a great place to end a day of sightseeing in the castle before you walk back down the hill. 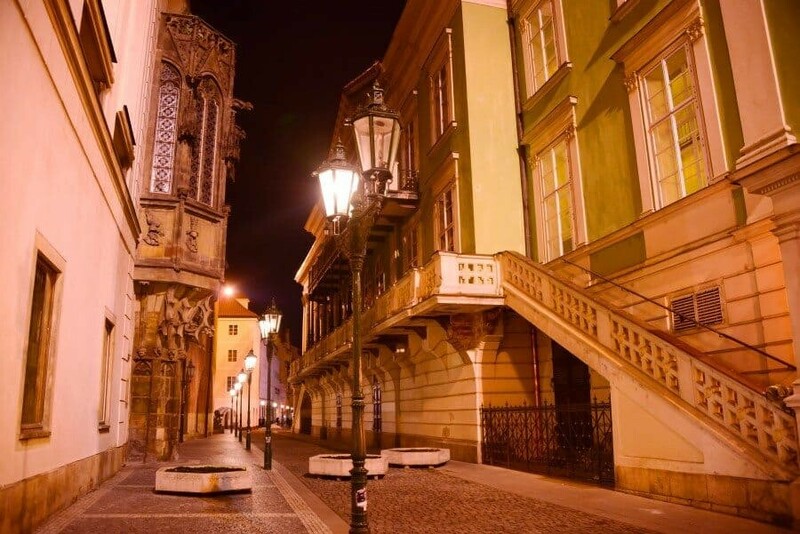 On the walk down, instead of following everyone else, take Na Opyši street which is lined with vines and trees and has a bit more of old world charm than the popular staircase leading towards the tram line. 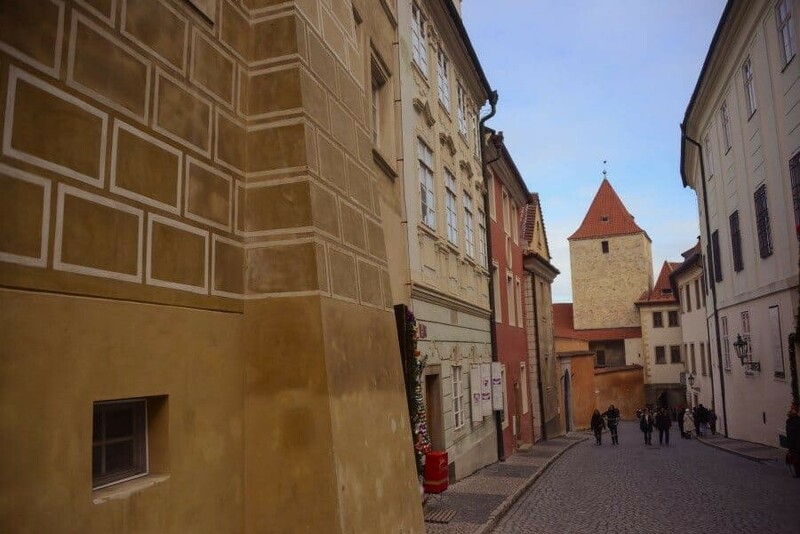 At the end of Golden Lane you’ll find the entrance to Daliborka Tower, a famous prison that was functioning until the end of the 18th century. 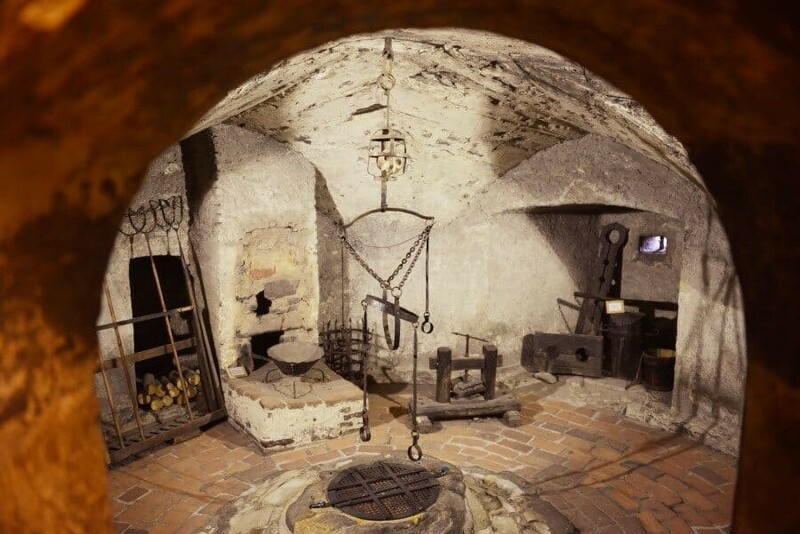 Dalibor was a young knight who was sentenced to death in the tower and forced to live in the dungeon which is what you can visit today. Not exactly the place to go if you’re after an upbeat, mood lifting experience but it’s really interesting and all of the original fixtures are still in place. It’s a quick visit too because there’s not much room down there! 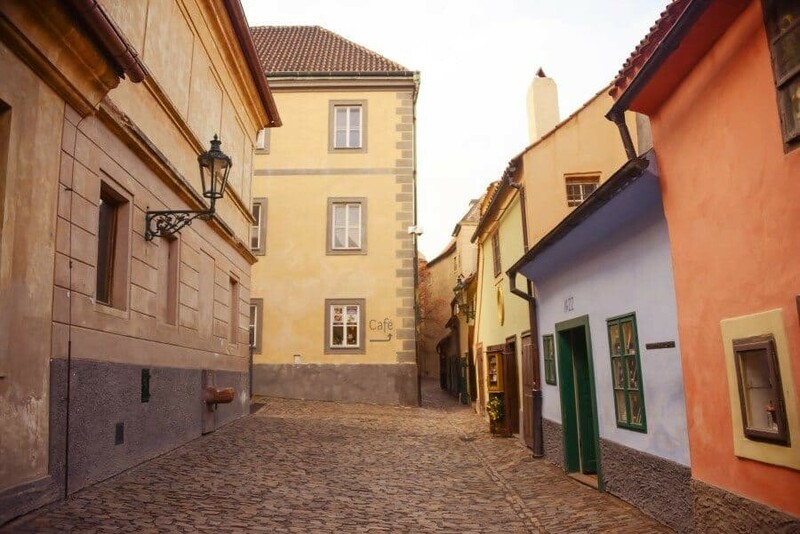 Arrive early to avoid hordes of tourists and be treated with a cobbled lane lined with colourful buildings. What I found perhaps more intriguing than the lane itself was the little rooms that are set up to resemble times gone by. 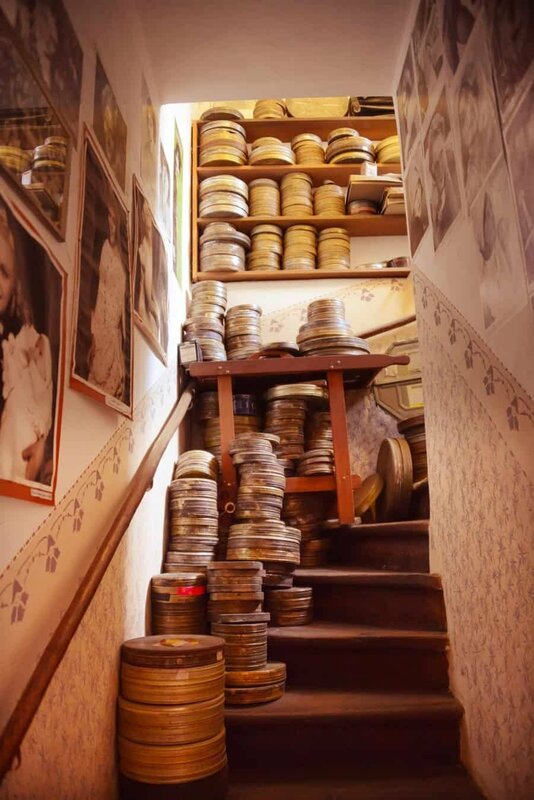 Peek inside to see old kitchens, paintings, walls that have been peeled by time and even a stairwell filled with old reels of film. 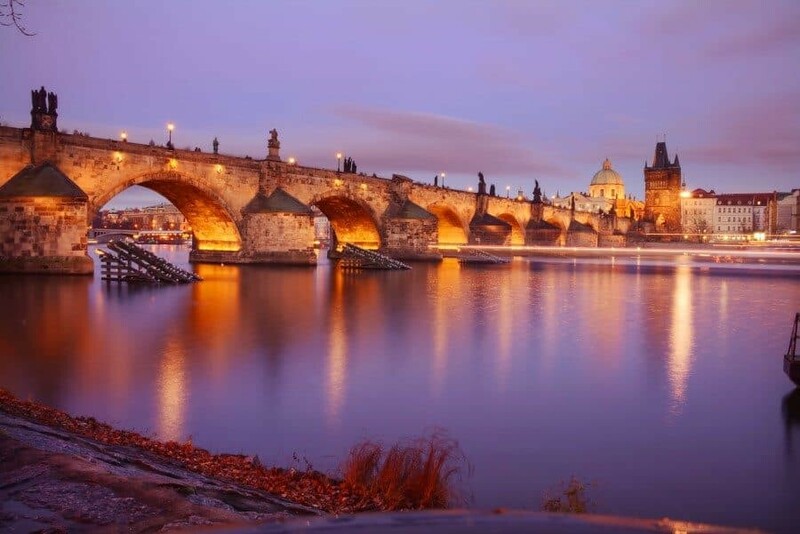 Perhaps the most popular draw card of Prague, Charles Bridge crosses the Vltava River and is lined with huge Baroque statues from start to finish. 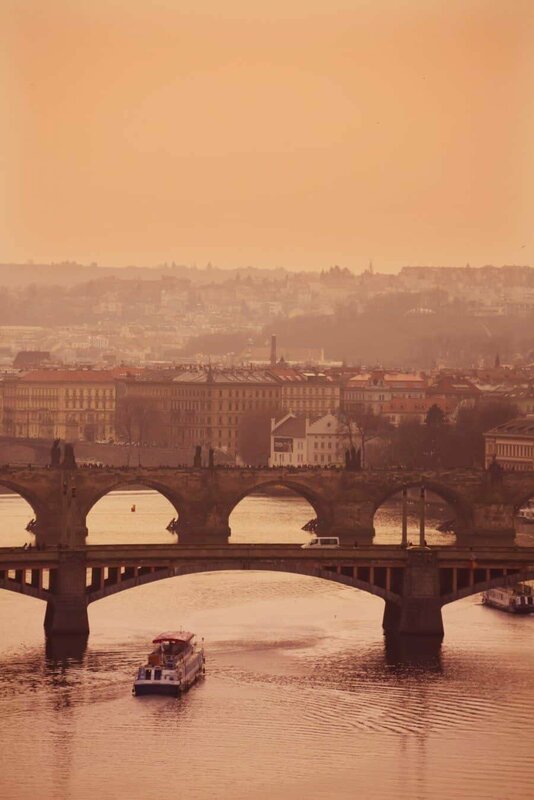 Arrive at sunrise to enjoy photographing the bridge without people and also to witness the infamous mist rise up from the river creating a romantic scene as silhouetting the city skyline. My favourite thing to do from the bridge was to photograph the hundreds of seagulls hovering above! 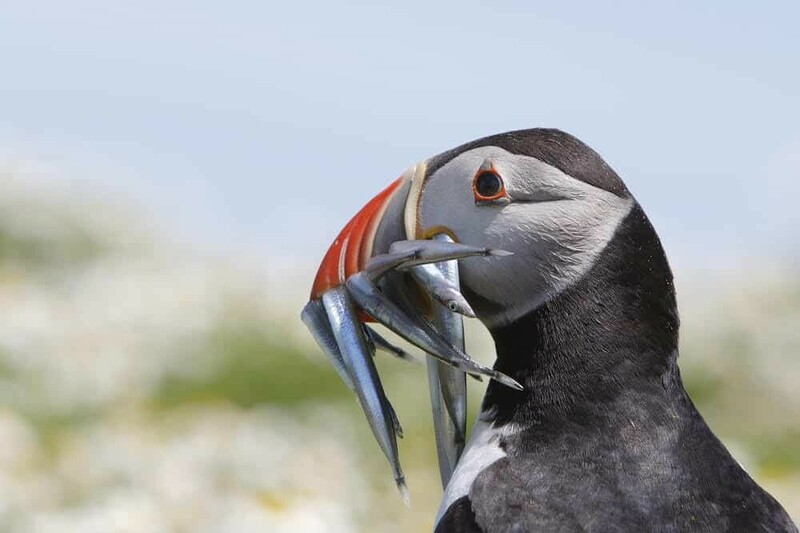 They enable a great sense of place making your photos comes to life and it’s fun to try and catch them in the perfect moment of flight. 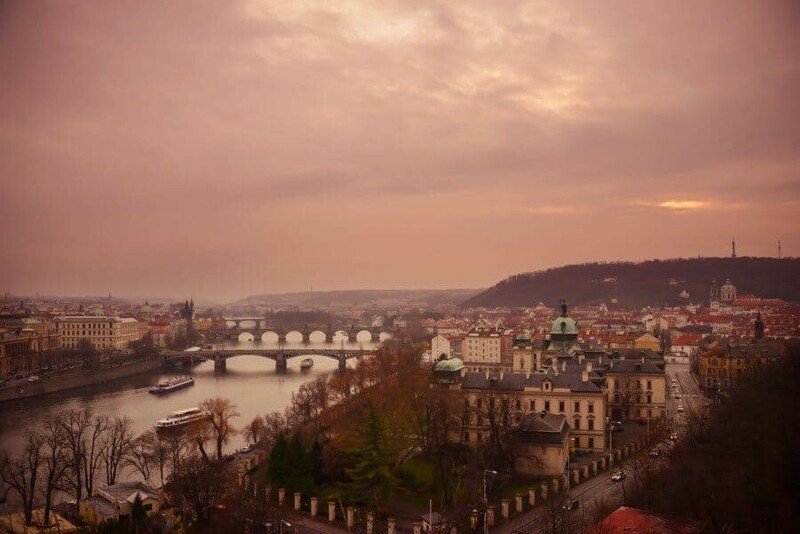 I stayed at the gorgeous Hotel Leonardo Prague where my room has views across the Vltava River toward Prague Castle! 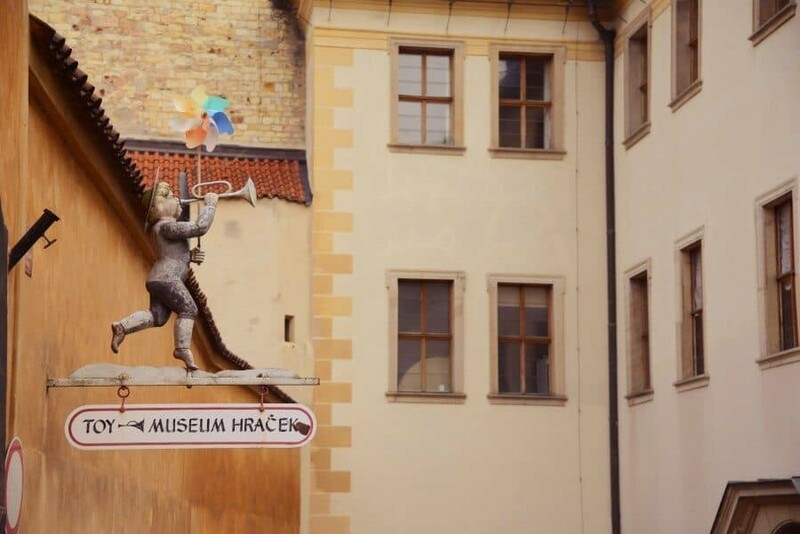 The hotel is located in the Staré Město historical district and is within easy walking distance of every photo location mentioned above. Also…complimentary mulled wine whenever you like in December, bonus! 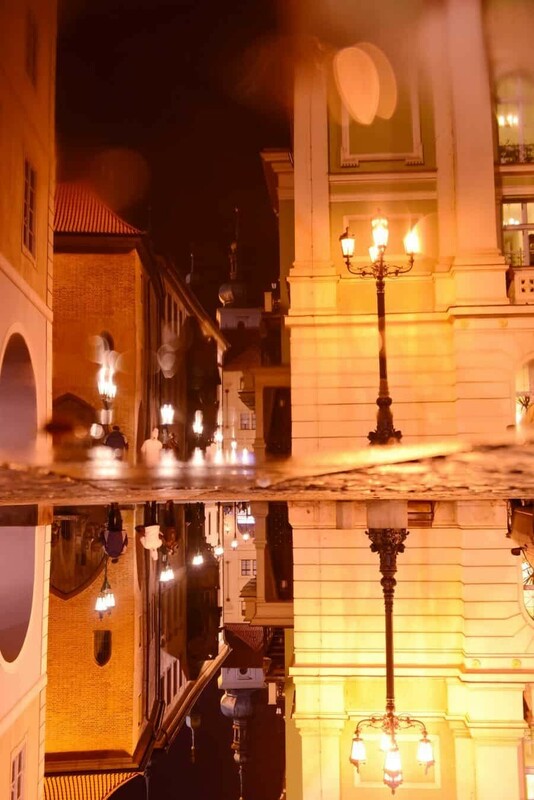 Old Town Square Hotel – For amazing room views over the square, right in the heart of the city. 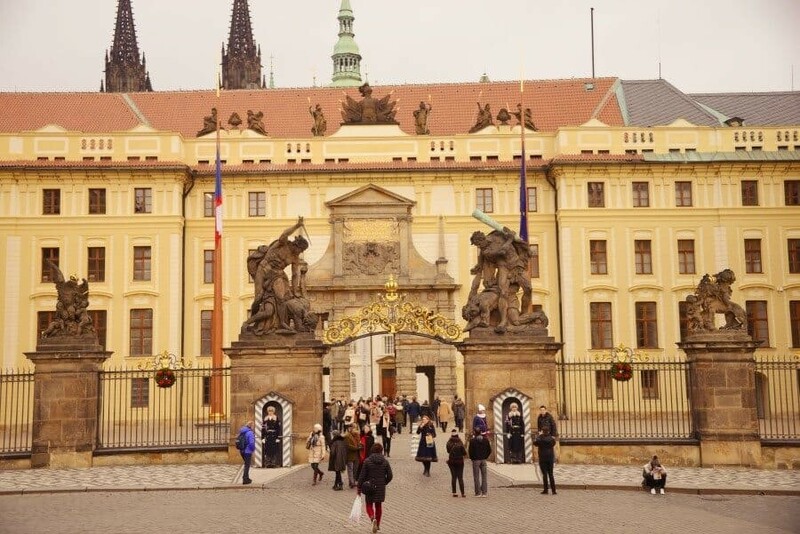 Prague Castle Ticket Information: There are a number of offers available if you’re going to be visiting a variety of monuments and sights. 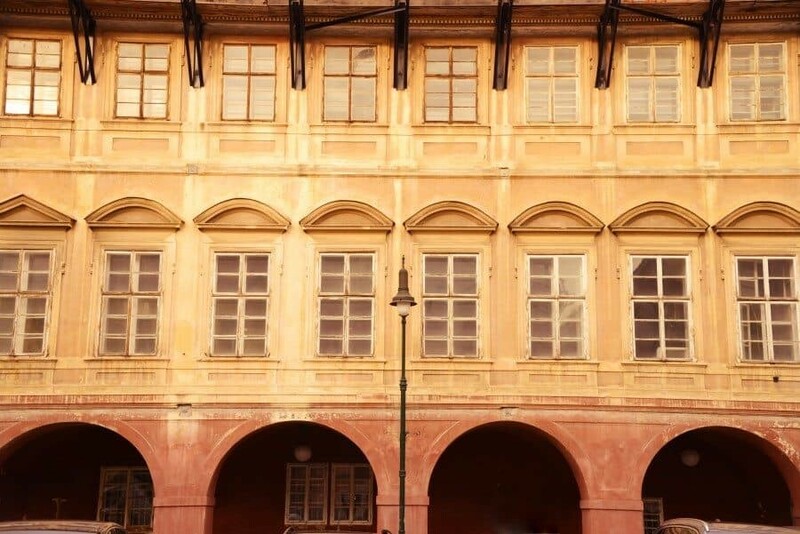 A lot of the cafes or stores close to the Prague Castle offer tickets that are priced depending on the ‘Circuit’ you choose. 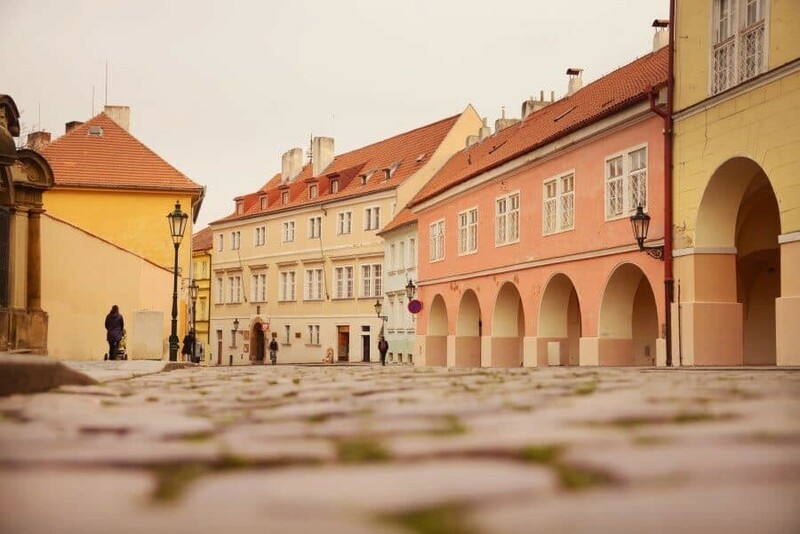 You can opt for one that covers everything or if you’re a bit more selective and think you might not get around to seeing everything, you can opt for Circuit B which includes St. Vitus Cathedral, Old Royal Palace, St. George’s Basilica and Golden Lane with Daliborka Tower. 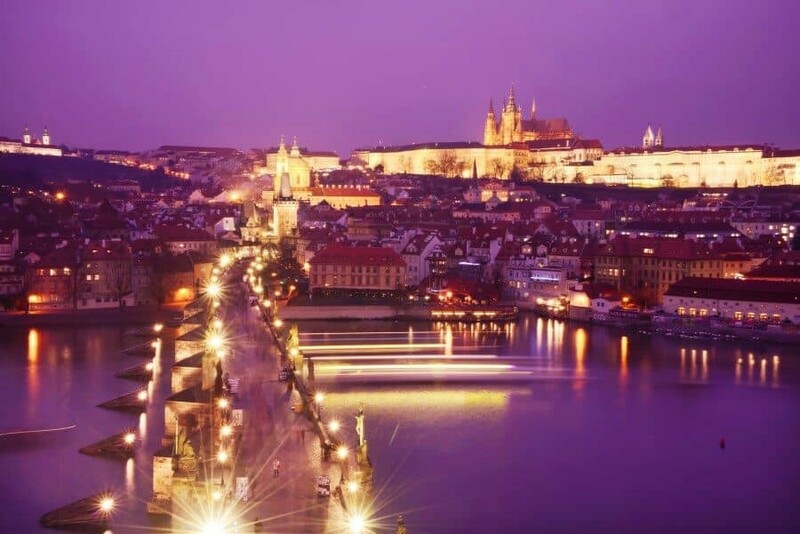 Visit the Prague Castle info site for further details. Wenceslas Square – Views up a long boulevard to the National Museum. Around Christmas is can be a little blocked with market trucks. 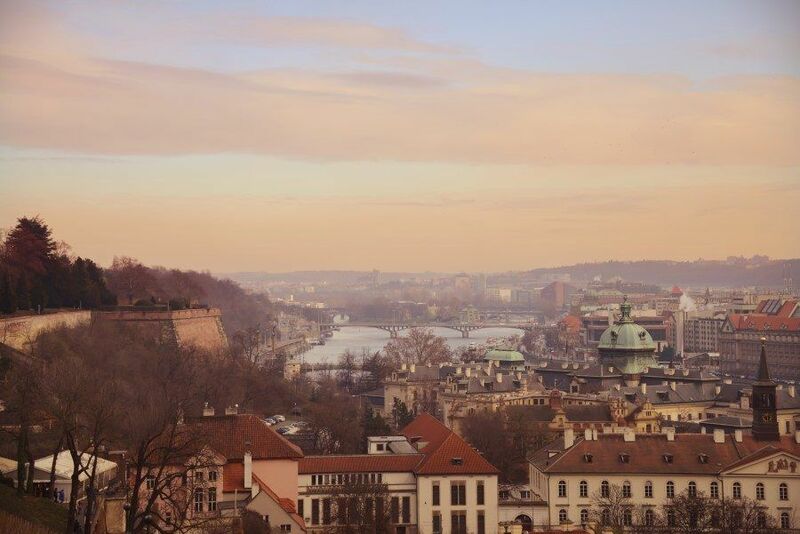 Petrin Lookout Tower – A relatively new tower perched high above the city offering great views. Dancing House – Known as ‘Fred and Ginger’ it’s a funky looking building designed by Gehry just near Jiraskuv Most Bridge. 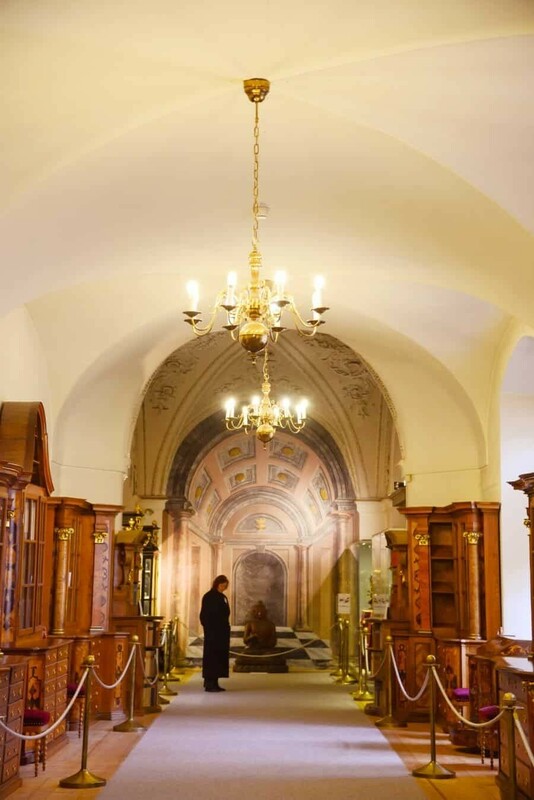 Old Jewish Cemetery – Dating back to the 15th century it’s Europe’s largest Jewish cemetery and a popular attraction in Prague. State Opera – Apparently the inside is incredible so it’s well worth trying to take in a performance or a tour! 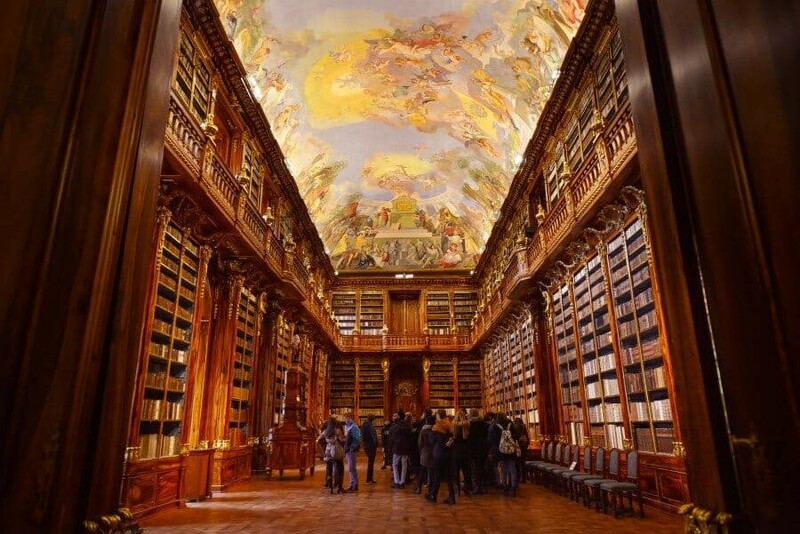 Clementinum – Home to a beautifully ornate baroque library, similar to Strahov Library but another place to visit if you’re a library lover. 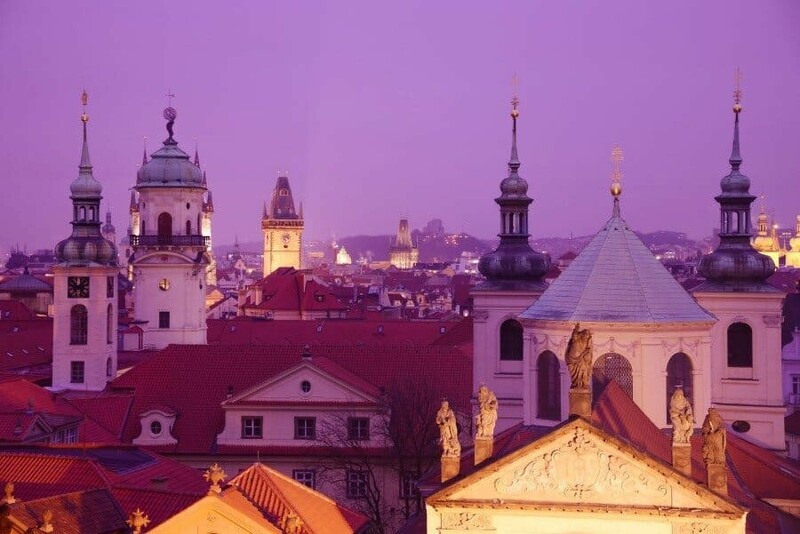 Have you already been to Prague? Know of any other photo locations? Let us know in the comments below! 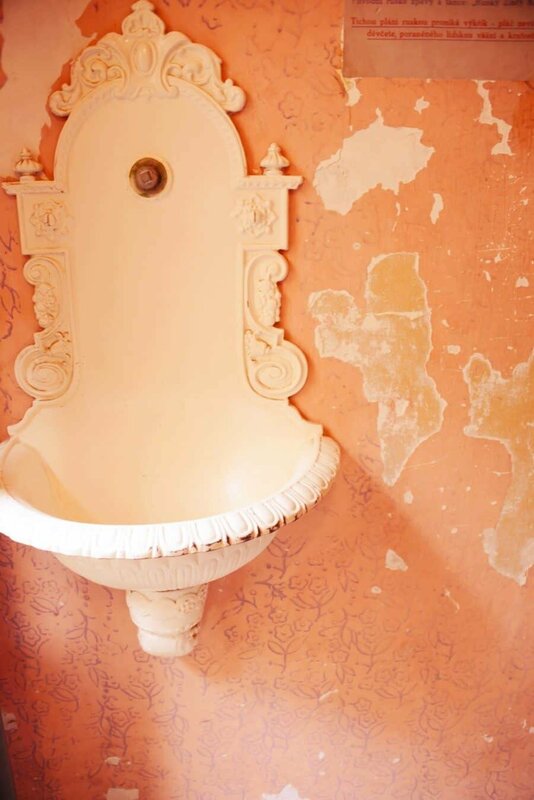 Another semi-hidden spot for a cool photo is inside the House of the Black Madonna. 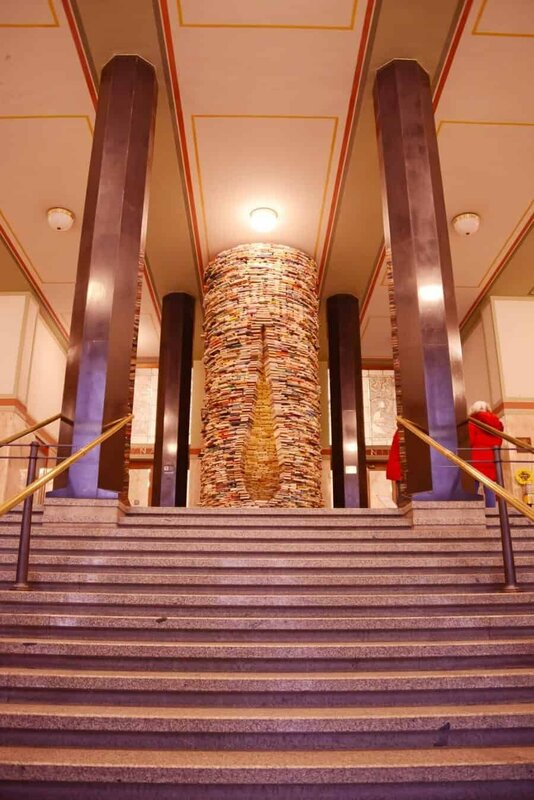 If you walk into the lobby and look up, there is a staircase designed in the shape of a lightbulb. It’s pretty awesome! Thanks Sarah! 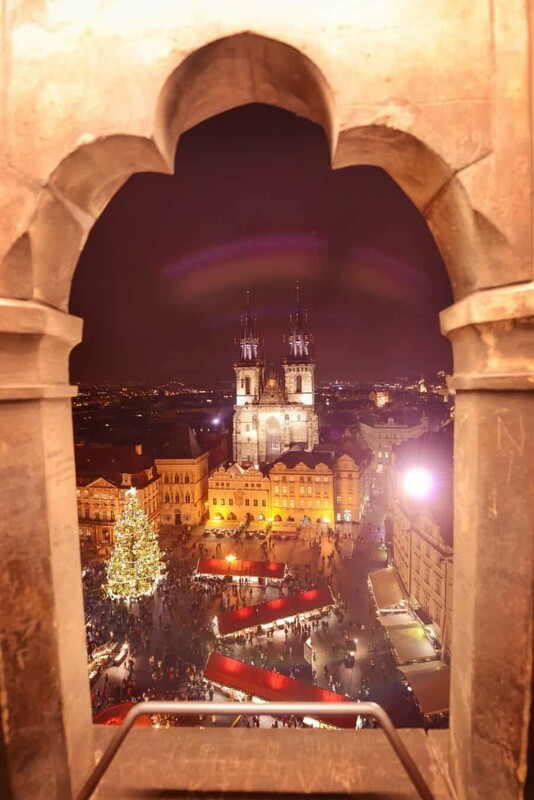 We should totally go back one Christmas for the decorations, lightbulb staircase and…to eat our weight in trdelnik’s! YUM! Hi. I really envy you. Haha… Very valuable and informative tips. 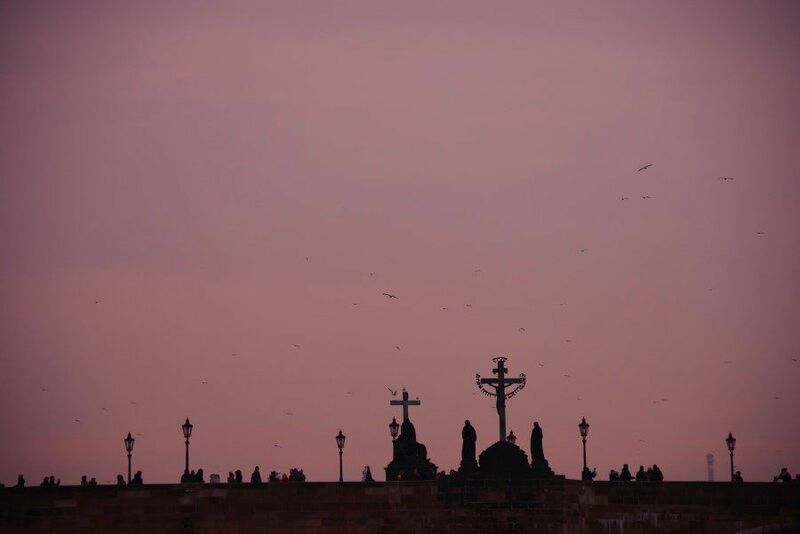 I’m going to Prague later in September and would like to capture the ‘soul’ of Prague, perhaps in motions. You have guided me. Thank you so much. 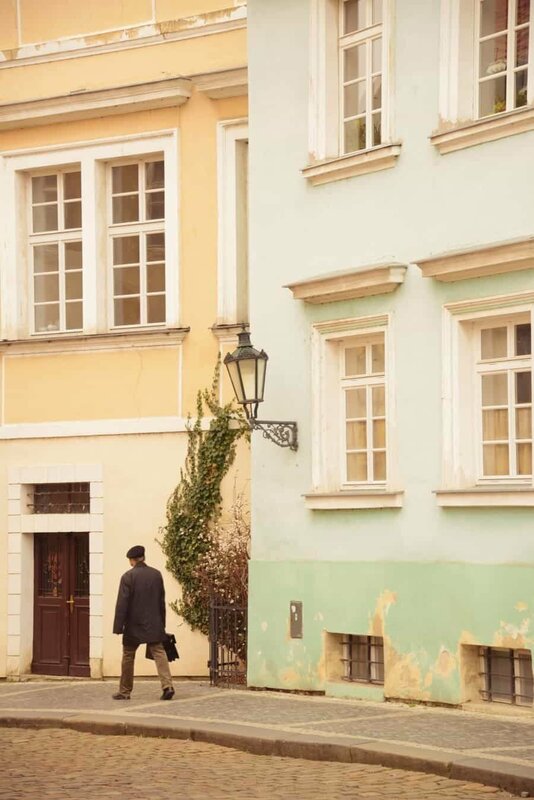 Great to hear Asnol, there is definitely a lot of mood to capture in Prague! September should be beautiful and hopefully the autumn colours start to appear for you! Hi Lisa, very nice article! 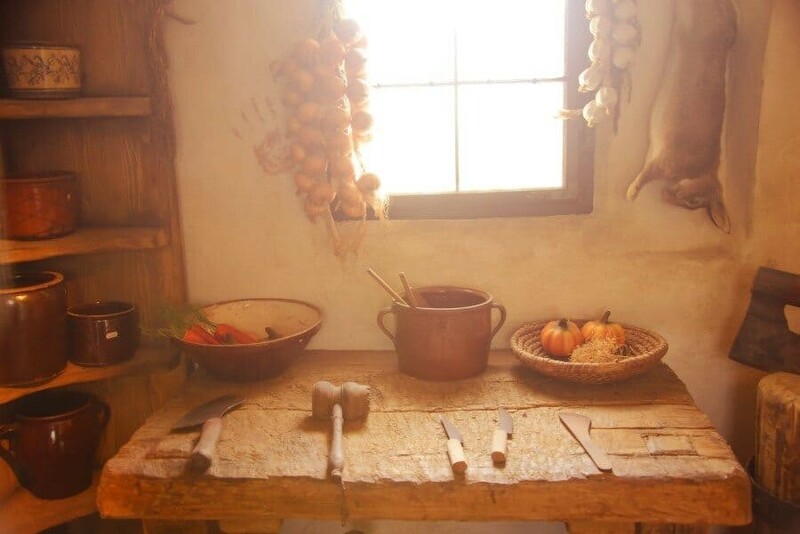 I love your blog, I have already found a lot of interesting and handy posts. Oh my god thank you! 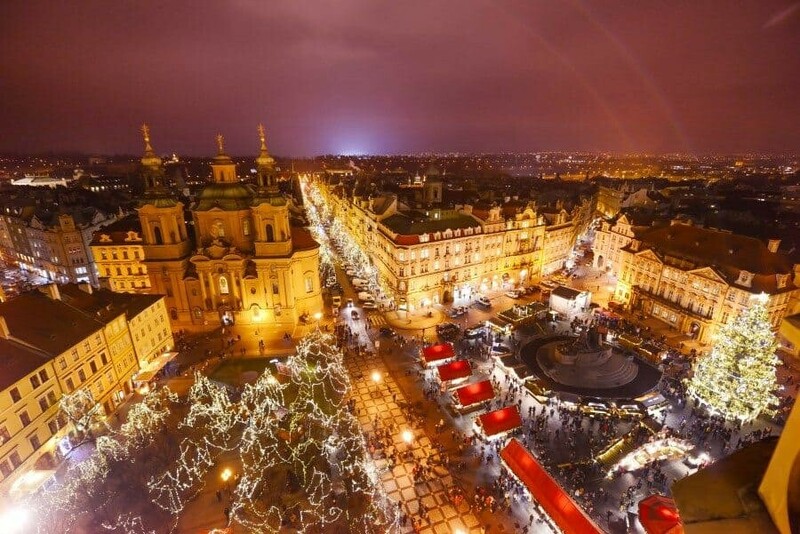 I’m flying in and out of Prague for my holiday, but I’m only there for a few days. You just saved me a lot of time I didn’t have in getting what should hopefully be some quality shots. Appreciate all effort you put into sharing these location. Grazie mille! 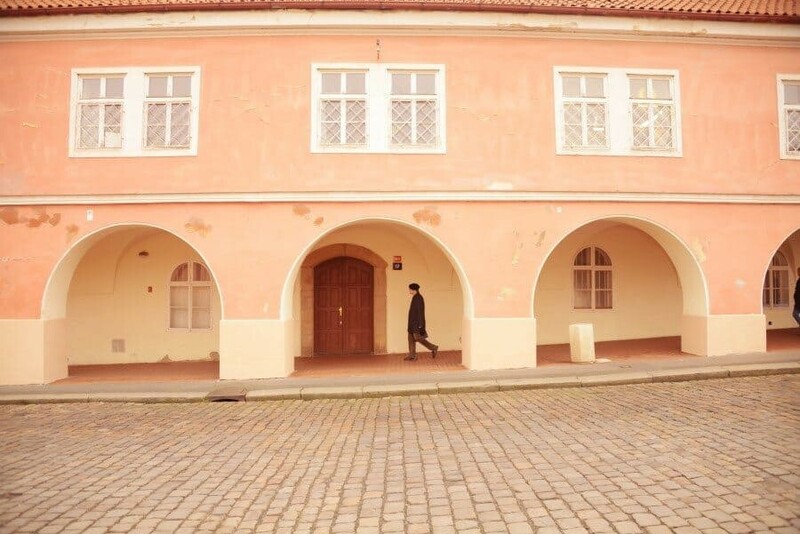 I havent been prague before. Is it possible to reach all of them in a day ? Any tips or suggestion ? Great info. 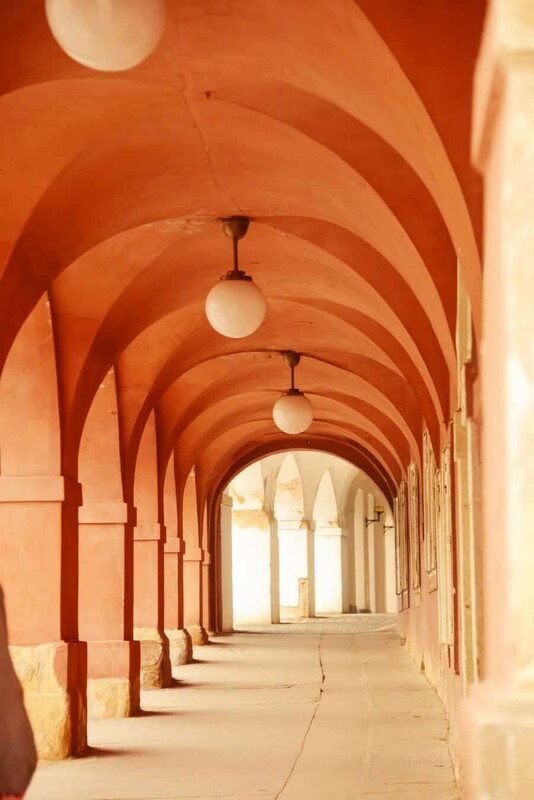 Spot on locations, as I worked with a pro photo guide for day and night shoots, we covered these locations as well. BTW…love your “The Wandering Lens” logo – catchy, but classy!